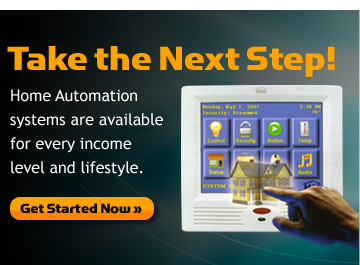 MCC SmartHomes :: Full home automation systems and digital security systems. Welcome to MCC Smart Homes. Established in 1994, we have been serving commercial audio markets and residential home automation markets for 15 years, offering hi-tech solutions for smart home automation, intergrated security systems, home theater systems and much more. Please browse through our commercial services and residential services, and take a look at our recent installs gallery. We look forward to working with you. MCC Smart Homes is pleased to announce the re-launch of our website. We offer extensive information about our company, the many services we provide and some interesting consumer tips for people interested in technologies for the home. Please be sure to read through our testimonials to hear first hand accounts from some of our customers, and browser through our featured project gallery to see examples of our finished smart home installations. Thanks for visiting, we look forward to working with you to bring your home into the 21st century! We have the latest state of the art technology to install home automation systems to improve the everyday processes in your new or existing home. Our integrated digital security systems are fully automated and reliable and willl give you and your family peace of mind. Rest easy with MCC Smart Homes. Complete your dream home with a state of the art, fully automated home theater systems designed and installed by MCC Smart Homes - for a one-of-a-kind viewing exerience. Our technologically advanced energy systems and green solutions take full advantage of solar and wind energy - saving you money and helping both our economy and enviroment. Make a positive change!